Valentine’s Day is approaching, and it’s important to get that special person in your life something that shows you care. 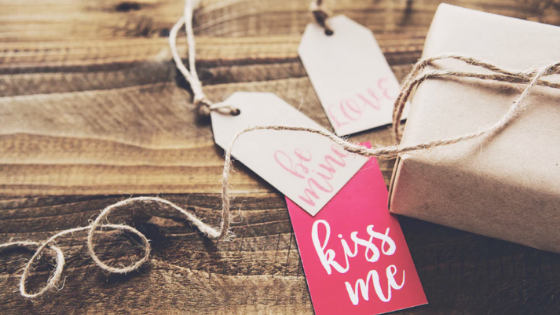 We hope our Haven at Eldridge residents in Houston, Texas, enjoy these Valentine’s Day gift ideas. This wonderfully sentimental gift idea is a book that gives couples a thought-provoking series of questions that help capture the essence of their relationship. Rather than a dry Q&A, “All About Us” asks questions about your intimacy and life dreams. The point is to bring your honesty with each other to the next level. There’s something about couple’s bathrobes that says, "in love partners." Luxor linens have sets made from Egyptian cotton that include monikers such as His and Hers, Bride and Groom and Mr. and Mrs., among others. When couples get all gussied up for a special date, the perfect fragrance and cologne can make it all the more special. Chanel Coco Mademoiselle has hints of bergamot, orange, jasmine and rose in its Eau de Parfum. It is widely considered a top 25 product for women and has a long-lasting impact, as does Yves Saint Laurent Black Opium, Victoria Secret Bombshell. In terms of top colognes, products such as Creed’s Green Irish Tweed, 1 Million by Paco Rabanne, and Fierce by Abercrombie & Fitch are popular best-smelling brands to consider. One of the more intimate moments people share is enjoying coffee in the morning before the stress of the day begins. Whether that happens before a challenging work week or on a leisurely Saturday morning, couple’s coffee mugs accessorize your love life in a fun way. Why not enjoy an extra smile with your caffeinated beverage? Flowers are a traditional Valentine’s Day gift that's always welcome. But they whither far too quickly. An enchanting rose created from high-end silk and encased in glass will keep the memory of that special day intact for a long time, possibly forever. Amazon has a Beauty and the Beast product that just might be right for you. We hope our Haven at Eldridge community members enjoy these Valentine’s Day gift suggestions. If you or a friend would like more information about our Houston apartments, call us today!